If the campaign has shown us anything so far, it has to be that Cardiff Devils appear to have one genuine challenger for their title this season. 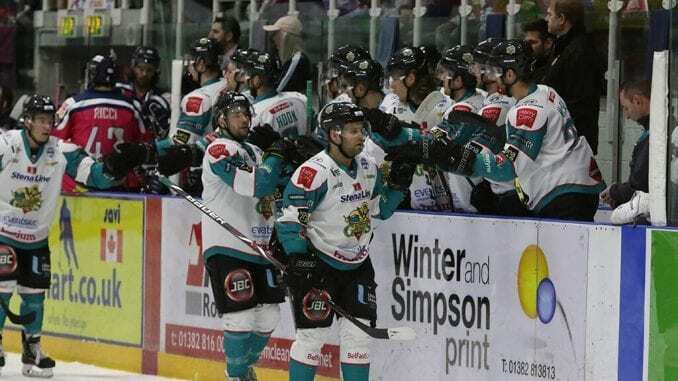 Yes, I’m fully aware we’re only in November and there are a lot of games to go, but Belfast Giants look like the team that can perhaps worry Andrew Lord and his players. Adam Keefe and his players have one key element to them so far – consistency. In this cutthroat Elite League where teams are taking points off each other, Giants are stringing those results together in menacing fashion. As the sun sets on a busy weekend for them, they’re on a run of five wins, which isn’t a lot in the current scheme of things, but when you zoom out and look at the bigger picture, it’s only one loss in their last 15 games. An incredible run of form for any team and putting that up against Cardiff – currently  in  games, then it makes the title race all the more fascinating. Giants swept aside all the Scottish teams at the weekend in terms of victories, with an honourable mention to Fife, who ran them close in a 2-1 contest on Friday. Now they go into this week with two tough away tests in going to Nottingham Panthers on Saturday then to Ice Arena Wales on Sunday for a showdown with the Devils. By next week, we may know a lot more about where Keefe’s men are, but when you weigh up the other potential contenders, no-one really sticks out. Nottingham Panthers, while they started well, have lost their consistency and the fact they’ll built up the points they have, having played more games is why they’re up there. Fife Flyers have been impressive also in the early part of the season and not many, if any, will predict them to still be there. Losing two of their three games this weekend has seen them lost ground on the Giants, but they won’t go away easily. The problems at Sheffield Steelers have been well documented and while they appear to have turned the corner under new coach Tom Barrasso, it would take a huge run to get back into contention. While it isn’t impossible for them to get back in there, there are a lot of variables needed to go in their favour, not least the bottom to fall out of Cardiff and Belfast’s campaigns. The Giants also have a good mix of players who know the terrain well along with some fresh faces who have taken to the Elite League well and that can only bode well for what they want to achieve. As we saw at the weekend, Blair Riley is leading by example, David Rutherford has found some great form and Kyle Baun has been instrumental in some key goals too. When you also consider regular points contributors in Francis Beauvillier, Jonathan Ferland and Colin Shields have been absent, it’s an impressive group. I’m not for a minute suggesting Giants are going to go on and win it. As I said, we are only in November, but Cardiff may yet have a fight on their hands and it’s something we should look forward to if it pans out that way. The news that NIHL South 1 side Invicta Dynamos have had to ask fans and the general ice hockey community to help them out through a Crowd Funding initiative is not a nice one. Gaining promotion from the second tier of the NIHL South was meant to bring excitement and a new challenge as they test themselves against the higher calibre of players. However, the financial burden this has brought had put the club itself in some kind of jeopardy and at the time of writing, their £5,000 target had been surpassed, pleasingly. The Gillingham side are seeing light at the end of the tunnel and it’s hard not to feel for coach Kevin Parrish, who is a Dynamo through and through and admits himself it’s been a major concern. Off the ice, it’s certainly more positive than it was probably a week ago, but once they start getting results on the ice, the feelgood factor will return. They’re not out of it yet, but they’re going the right way as the ice hockey community rallied together to help another team in its hour of need. Well done to those involved.